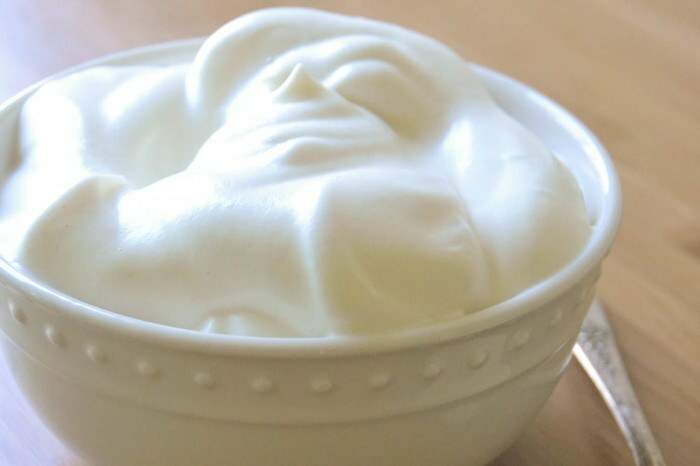 Put the ice water, egg white, and non-fat dry milk in the bowl of a stand mixer fitted with the whip attachment. Beat on high for 4 -5 minutes,until it starts to become thick. You may have to stop the machine to scrape down the sides of the bowl at the very beginning to get the milk powder incorporated. Add the lemon juice and continue whipping on the highest speed for another minute, or two until it is thickened. Depending on your machine, this could take a little longer. Lower the speed and slowly add in the sugar, and then the vanilla. Beat until well mixed.